The board of RRFC is delighted that three loyal fan groups have decided to financially support the club to the tune of £14,000. “The board of directors would like to thank three supporters’ organisations for their generous financial support to the club at a time where cash flow has been badly affected by fixture postponements and reschedulings. With the club not having had a Saturday 3pm home match since 15th October and the next one not due until 17th December, and with other matches being switched to unpopular times due to TV scheduling, the club is in the middle of a 2-month period where income is well down on forecast. “Supporters groups didn’t even wait to be asked for help by the board… they understood our difficulties and independently decided to make contributions that will make a real difference to their football club. It’s testimony to the strong relationship that exists between these organisations and the board that they have not hesitated to offer financial support to help get us through a difficult period. 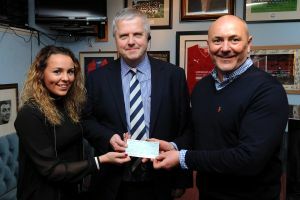 “Last Tuesday evening, the Jim McMillan Club handed over a cheque for £4,000 and this week the 200 Club has donated a further £5,000. The Raith Trust have also advised they will donate £5,000 later this week. 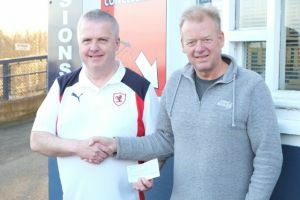 In addition to this the official Supporters’ Club continues to offer all the support it can through volunteers on match days and assistance with all manner of activities behind the scenes, while the Roary Club for the next generation of fans continues to flourish with over 500 members enjoying becoming part of the future of Raith Rovers.